Europcar has reinforced its position as a major supporter of cycling in Australia, confirming a two year partnership with the Amy Gillett Foundation this month. 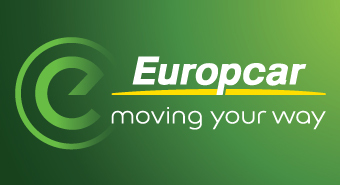 As part of the partnership, Europcar will display cycling safety messages in all of their vehicles, and actively support and provide rental vehicles for all Amy Gillett Foundation events including Amy’s Gran Fondo. Europcar Australia and New Zealand Sales and Marketing Director, Mike Warmington, said Europcar is committed to the ongoing support of Australian cycling and is proud to support the Amy Gillett Foundation. “We are delighted to be an official supporter and the exclusive car rental partner of the Amy Gillett Foundation,” Mr Warmington said. 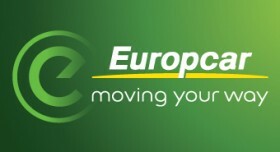 “Safety is one of Europcar’s core values and we have long been committed to safety on the roads by only offering vehicles with the highest safety ratings and the best safety technology”. “Our support of the Amy Gillett Foundation demonstrates that we are committed to safety of all road users and we want to ensure our customers consider the safety of bike riders whenever they’re on the road,” Warmington said. Amy Gillett Foundation Chief Executive Officer, Tracey Gaudry, said Europcar’s support would help the foundation realise its goal to improve bike rider safety. “Bike riding is a mainstream recreational and active transport activity with over 4 million people taking to their bikes weekly. We need to do for bike rider safety what has been done for motoring safety since the 70s. Despite all the good work being done to improve the environment for bike riding, serious injuries are rising and fatalities are tragically still occurring,” Ms Gaudry said. Mr Warmington said the partnership with the Amy Gillett Foundation complemented Europcar’s support of cycling events such as the Tour de France, the Santos Tour Down Under and Around the Bay in a Day. “The Europcar brand is very much aligned to world cycling and supporting Australia’s growing cohort of cyclists through sponsoring marquee events and promoting safety among all road users,” Mr Warmington said.